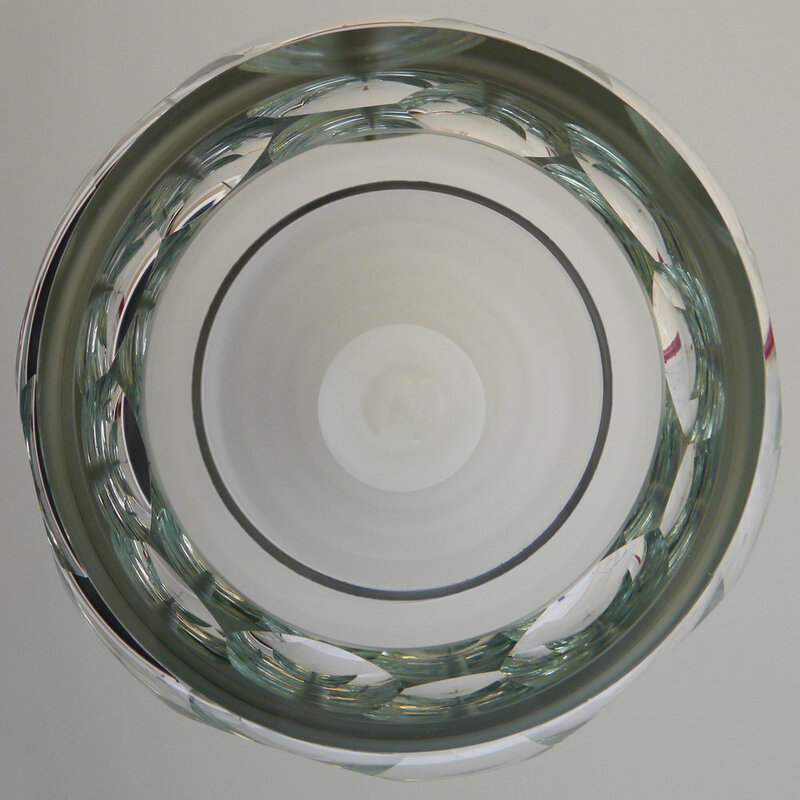 Custom, mouth blown clear glass shade, cut and polished with jewel-like facets. Interior second layer - white glass shade. Hardware available in: Burnished Brass (shown) Satin Brass, Satin Nickel, Polished Nickel, Blackened Steel, Pewter, and others (inquire).